These husky socks are perfect for your little musher. Made from 70% Acrylic, 16% Nylon, 10% Polyester, 3% Spandex & 1% Rubber. 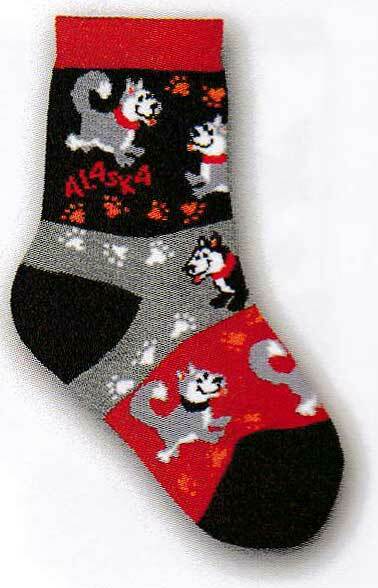 Featuring images of playful huskys & paw prints. Text reads ALASKA.